A leading manufacturer of precision diaphragm pumps and flow control solutions, Aquatec has been providing high-quality solutions for a wide range of fluid control applications since 1986. As a trusted brand, Aquatecâ€™s booster pumps for home RO systems deliver dependable inlet pressure for efficient membrane utilization. 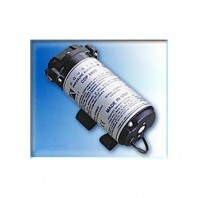 Their booster pumps are well suited for continuous duty and can help with recirculation based tasks as well. 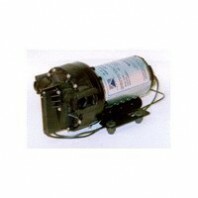 Booster pumps are best used with hydro-pneumatic storage systems, however, they are also compatible with the majority of hydraulic shut-off valves. Typical applications include water treatment/RO, carbonation systems, misting systems, alternative energy/solar, medical labwater, laser cooling systems and fuel cells. Permeate pumps are simple, yet impactful, devices powered by hydraulic energy generated by brine water usually lost to the drain. This means that no electricity is required. 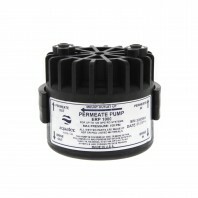 By forcing product water into the storage tank, the Permeate Pump reduces membrane back pressure while maximizing available feed pressure, drastically improves the efficiency of R.O. water, and reduces wastewater up to 80%.